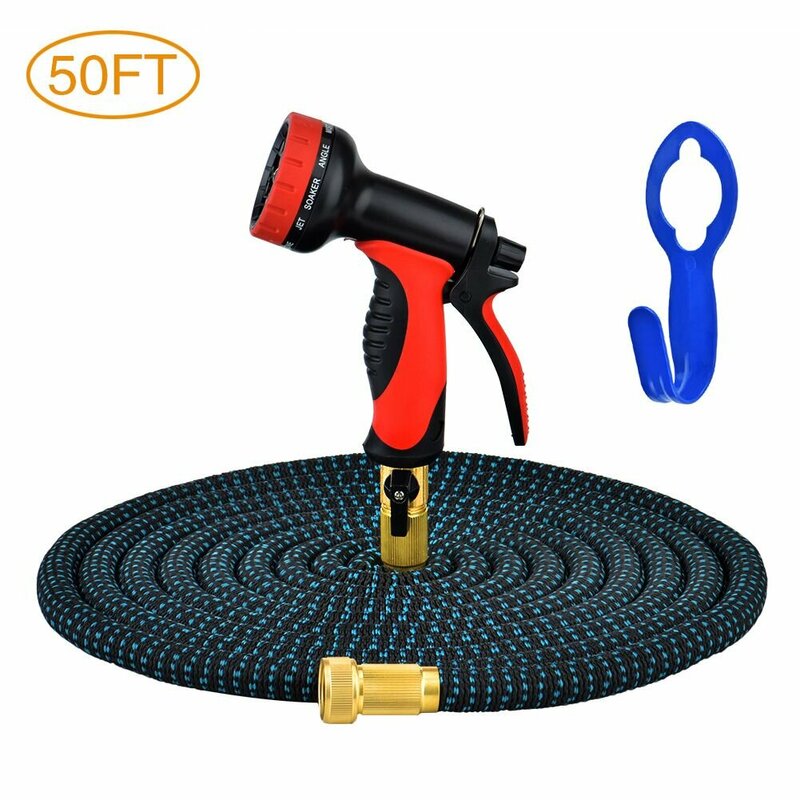 This Garden Hose is the best choice for you. It is 17ft long when not in use, but designed can be expanded up to 50ft for special needs. The strength fabric casing is light-weight and can be bend easily for different shapes, which is convenient for store and help you save space. Also, This Garden Hose is designed with high quality. The 100% natural latex core, high quality polyester casing, and all solid brass fitting, which makes it is durable and can resist the highest level of water pressure. 1.Extend the water hose totally, do not let the hose knotted. 2.Best working under water pressure range 0.2-0.6MPa. 3.Adjust the nozzle to avoid leaking. 4.Don’t let the hose rub against the ground frequently. 5.Completely drain water from hose and hang up it when not in use. 6.Store the hose in cool and ventilative place.